42U Data Center Solutions offers end-to-end rackmount solutions. 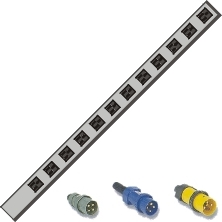 Our solution engineers have worked in hundreds of data centers and can confidently recommend the best rackmount accessories for your environment; including: rack power strips, rackmount shelves, rackmount LCD monitors. 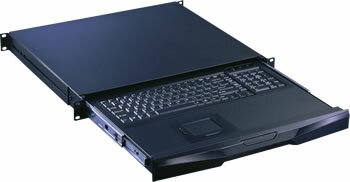 rackmount keyboard drawers, rack monitoring devices, and cable management products. In 2001, we implemented a server rack solutions, click-and-buy superstore for data center managers who are looking for limited support and know exactly what they need. A Rackmount Monitor with Keyboard or a Rackmount KVM Switch is a space-saving solution for your computer rack environment. Incorporating panels, especially blanking panels, improve the cooling efficiency in the rack. These pieces optimize valuable rack space by consolidating your keyboard, monitor, and mouse into a 1U or 2U slice of rack space. 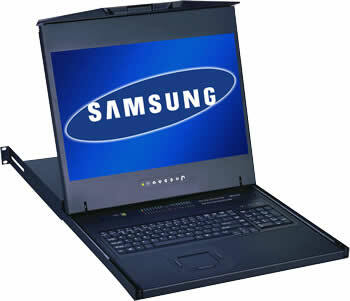 With an optional KVM switch, you can control all the servers in your computer rack as well. Rackmount LCD monitor keyboard drawers come in 1U and 2U form factors PLUS provide excellent clarity, while saving valuable server rack space. Some versions come with the option of integrating an 8- or 16-port KVM switch, which provides even greater space optimization. Manage your server room more efficiently from a single location with a single U rackmountable keyboard drawers with a touchpad or trackball and optional 4, 8, or 16-port integrated KVM Switch. Multi-U, as in the 6U, 7U, and 8U, rackmounted LCD panels come in a variety of inputs, resolutions, and aspect ratios and some can even include touchscreen compatibility. Server room equipment mounted in-rack cools itself by drawing air from the data center or network room. On some occasions, there is potential for hot exhaust air to be recycled into the equipment air intake. Unused vertical space in open frame racks and rack enclosures creates an unrestricted recycling of hot air that causes equipment to heat up unnecessarily. The use of blanking panels can reduce this problem. By optimizing airflow within your server racks by using the most effective sealing blanking panels available, you can help ensure that the servers are being cooled in the most power efficient manner. Designed with inboard ergonomic finger grips for easy, quick, safe, tool-free installation, labor costs are reduced. To help monitor the temperature within your racks, HotLok Blanking Panels are available with optional temperature strips. By installing Raised Floor Grommets, you can optimize the effectiveness of your existing cooling equipment and manage the increasing heat loads. Floor Grommets specifically addresses bypass airflow and its detrimental effects on data center cooling. Cable management is often overlooked when server environments are created. Some racks feature cable management channels, which help reduce clutter and increase air flow. 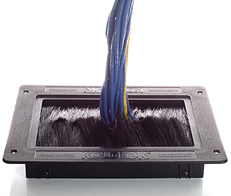 There are also many benefits to using customized cables– utilizing cables of the proper length eliminates excess cable within an enclosure, which increases air flow and may prolong the life of the equipment. In addition, using color-coded cables helps administrators identify which services are running from each piece of equipment. Often overlooked, over-sized cables and power cords in a rack enclosure will restrict airflow. 42U’s Sales Engineers will gladly help with your cable management needs. Power cords are available in lengths of 1′, 3′, 6′, 10′, 14′. CAT5 patch cables are available in lengths of 1′, 2′, 3′, 5′, 7′, 10′, 14′, etc. There are a variety of rackmount shelves available for your server rack. The depth and weight of the equipment you are installing within your computer rack should help guide you in determining the type of shelving you need; such as Heavy-Duty, Adjustable, Cantilever, etc. Heavy duty shelves for supporting servers. Multi server sliding shelves are mounted on a base shelf and slide out individually for easy servicing of servers. Due to heavy construction, many shelves can be mounted anywhere in the cabinet. Shelves are made to be compatible with most 19″ EIA cabinets. Flat Shelves mount to tapped mounting angles, 4-point mounting. Cantilever Shelves mount to tapped mounting angles, 2-point mounting. 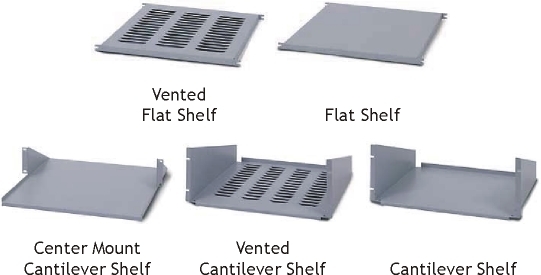 Shelves are available with heavy duty reinforced construction for heavy loads. Contact us for more modular options. 42U offers a wide varity of rackmount PDUs for your server rack power distribution needs. Remote power management solutions are used by many businesses and organizations to manage servers at offices and branch locations where there are no IT staff members, offering cost-efficient “lights-out” operation at those sites. Remote power management solutions allow administrators to remotely power cycle servers and devices as well as troubleshoot problems, both locally and remote, from any location in the world. This ability provides administrators with the ability to manage servers more efficiently and reduces server downtime by affording direct access to power control. Rack Mount Enclosure Fan Assemblies along with Top and Bottom Mount 590 CFM Rack Fans are available in 115, single-phase 50/60 He standard. Other fans are available for AC or DC. Rack mounting hardware are essential tools and components for proper server and rackmount IT equipment installation. Mounting hardware includes Cage Nut Tools, 10-32 Tapped Cage Nuts and Screws, and server rack ganging kits (rack coupling kits). Many different types of casters and levelers are available, please contact us for options. Heat is an important factor that significantly affects IT performance. As server densities increase, their heat bi-products need to be dissipated in accordance with a well-thought-out cooling strategy. You can best mitigate heat issues if you have a thorough heat dissipation plan and invest in scalable computer room cooling solutions. There are two main approaches to data center cooling: ambient air cooling and liquid cooling. Environmental Monitoring appliances, also called rack monitoring appliances, allow you to actively monitor multiple variables in your data center or server room. This proactive approach lets you address problems as soon as they occur, rather than reacting after receiving a phone call from an end-user when an application is down, or rushing to investigate a problem after being notified that a system has failed. Our team continues to provide sustainable solutions for over two decades. 42U treats your data seriously. We are aligned with the leading server rack and enclosure manufacturers and tailor solutions to address all your server rack requirements. From off-the-shelf for tight deadlines to specialized design for project rollouts, 42U has the server rack expertise for your data center project. find the right rackmount accessory for your server rack needs.